The Waterhog Eco Berber has the look of a carpet with the engineering and structure of a mat. It is an anti-static propylene mat that is crush proof and extremely durable. Berber will not rot as it dries extremely quickly. This mat can stand extreme and constant foot traffic and will last and last. This matting comes off an 1800mm roll and can be cut to any specifications. 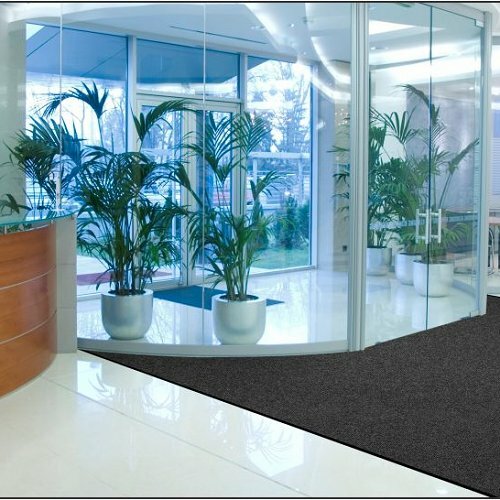 Its unique construction allows for flexibility and is one of the best mats for recessed areas. Eco Berber is easily cleaned with a simple vacuum, or using extraction method cleaning, or just hose it down. If required this mat can also be edged.